Education is very closely related to civilization and progress and has a huge impact on human life. 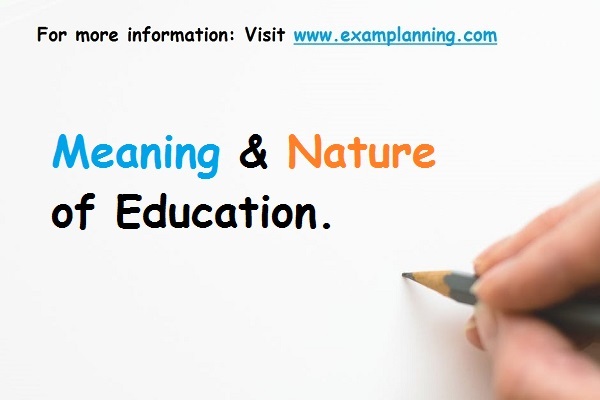 Therefore, being an important factor in life activity education is also greatly influenced by philosophy. Different fields of philosophy i.e. social philosophy and economic philosophy and have great influence on the various aspects of education like educational procedures, planning, policies and its implementation, from both the theoretical and practical aspects. Etymologically, the word education is derived from educare (Latin) “bring up”, which is related to educere “bring out”, “bring forth what is within”, “bring out potential” and educere, “to lead”. Webster defines education as the process of educating or teaching. 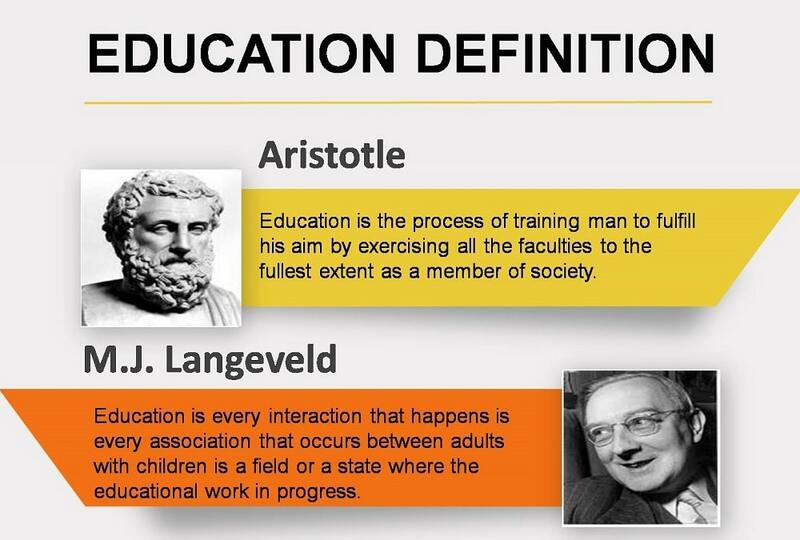 Educate is further defined as “to develop the knowledge, skill, or character of…” Thus, from aforesaid definitions, we may assume that the purpose of education is to develop the knowledge, skill and character of students. “Education means the bringing out of the ideas of universal validity which are latent in the mind of every man”. “Education is the creation of a sound mind in a sound body. It develops man’s faculty, especially his mind so that he may be able to enjoy the contemplation of supreme truth, goodness and beauty of which perfect happiness essentially consists. “Education of man commences at his birth; before he can speak, before he can understand he is already instructed. Experience is the forerunner of the perfect”. (a) Education is life-long process- Education is life long process because every stage of life of an individual is important from educational point. (b) Education is a systematic process- It refers to transact its activities through a systematic institution and regulation. (c) Education is the development of individual and the society- It is called a force for social development, which brings improvement in every aspect of the society. (d) Education is modification of behavior- Human behavior is modified and improved through educational process. (e) Education is a training- Human senses, mind, behavior, activities; skills are trained in a constructive and socially desirable way. (f) Education is instruction and direction- It directs and instructs an individual to fulfill his desires and needs for exaltation of his whole personality. (g) Education is life- Life without education is meaningless and like the life of a beast. Every aspect and incident needs education for its sound development. (h) Education is a continuous reconstruction of our experiences- As per the definition of John Dewey, education reconstructs and remodels our experiences towards socially desirable way. (i) Education is a power and treasure in the human being through which he is entitled as the supreme master on the earth. Therefore, the role of education is countless for a perfect society and man. It is necessary for every society and nation to bring holistic happiness and prosperity to its individuals. Very good written post. It will be useful to everyone who employess it, including myself. Keep up the good work – for sure i will check out more posts.